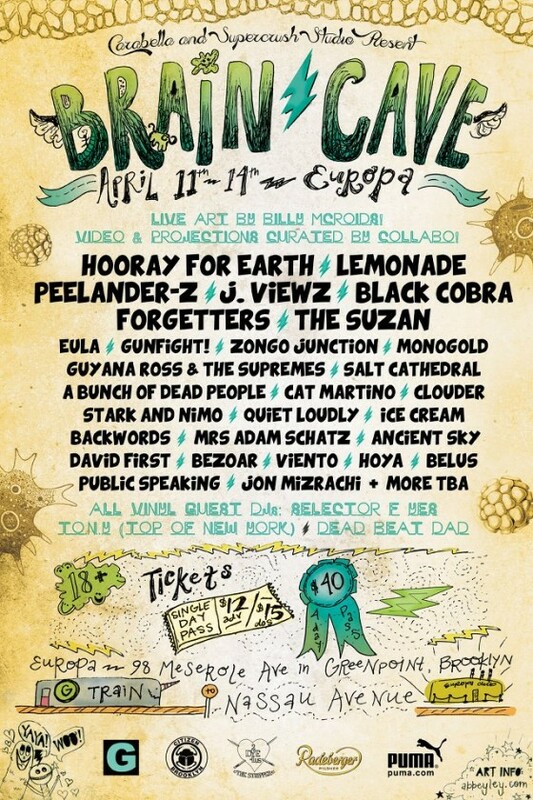 San Francisco-based sludge-mangling duo BLACK COBRA will uncoil across the country in Brooklyn this week for a devastating one-off show as part of the diverse Brain-Cave Festival. The annual festival showcases an incredible array of artists of all natures from around Brooklyn and abroad for four days. Undoubtedly the most punishing act set to perform at this year’s installment, BLACK COBRA will take one of the main headlining slots of the final day of the festival this Sunday, April 14th at Club Europa, joining Public Speaking, Belus, Bezoar, Jon Mizrachi, Ancient Sky, Mrs Adam Schatz, David First and more. In June BLACK COBRA will take part in the massive annual three day Hellfest extravaganza in Clisson, France. Running from June 21st through 23rd, this year’s festival includes bands as massive as Kiss, ZZ Top, Danzig and Twisted Sister, with Black Cobra playing on the first day in “The Valley” joining Neurosis, Sleep, High On Fire, Pallbearer, labelmates Black Breath and Eagle Twin and more on one massive bill. Released in October 2011 via Southern Lord, BLACK COBRA‘s fourth LP Invernal was one of the most critically acclaimed releases to emerge from the metal/sludge scene that year. Recorded at Converge guitarist Kurt Ballou’s God City Studio and mastered by John Golden (Neurosis, Melvins, Weedeater), the album propelled the most diversified and matured songwriting from the duo to date forward with incredibly thunderous production, the theme to the entire record based on a post-apocalyptic trek to a nuclear infested and mutated Antarctica, inspired in part by the treks of English researcher Ernest Shackleton. 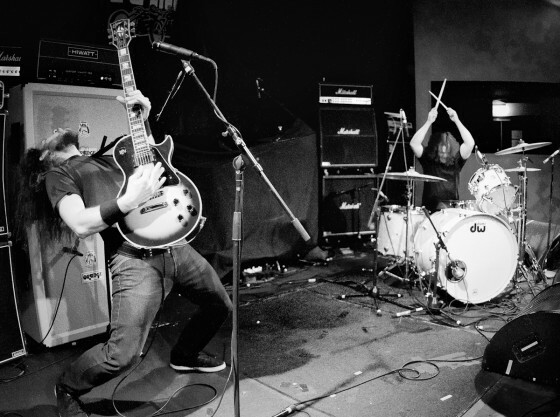 The band perpetually toured through the year surpassing their 600th show mark in 2012 since the release of their debut LP Bestial in 2006. View the band’s ominous video for “The Crimson Blade” and live footage of BLACK COBRA and more below, and if you missed it check out drummer Rafa Martinez’ feature on the 50th Anniversary of the James Bond franchise HERE.